Pick 1. My number one favorite is an app called AppsGoneFree. As far as I know is only available for Iphone and IPad, but there are plenty of alternatives for Android users as well, if you look hard enough. Pick 2. 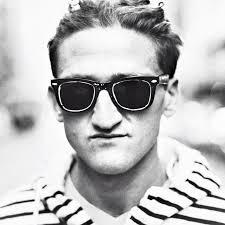 It has to be Casey Neistat. He is one of the most famous youtubers ever, so you probably know him already. The reason I like him, and probably the reason other people also like him, is that he has an artful way of vlogging his life and that he is relate-able to teenagers and parents at the same time. He lives a quite hectic life with loads of work, traveling, glamorous and mundane events that he records and uploads daily. He’s been doing so for more than a year now. ← Why do people hit the “Like” button?